If you own a larger iPad Pro, Microsoft will require you to pay for an Office 365 subscription. But Microsoft's licensing loophole exempts the new, smaller tablet. 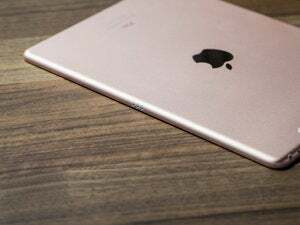 Here’s one point Apple marketing chief Phil Schiller didn’t make in calling the new 9.7-inch iPad the ultimate PC replacement: if you buy it, you won’t have to pay for an Office 365 subscription to use Microsoft’s iOS Office apps. But if you buy the larger, 12.9-inch model, you will. Why? Because of the vagaries of Microsoft’s mobile Office strategy. Almost a year ago, Microsoft attempted to distinguish what defined a mobile experience, and what devices would typically be used on the go. 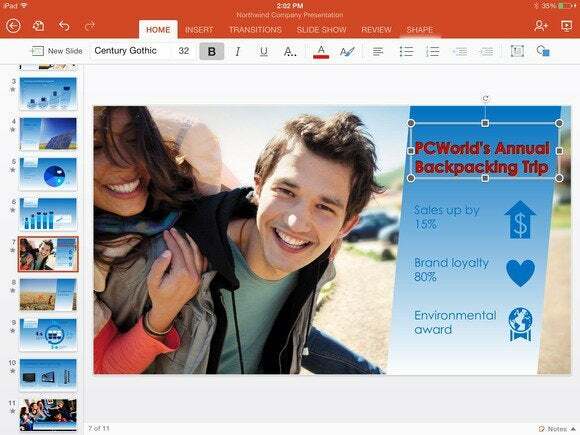 The idea, according to Microsoft, was that the company wanted to charge Office 365 licensing fees for those users who were using Office at a desk, performing productive work. 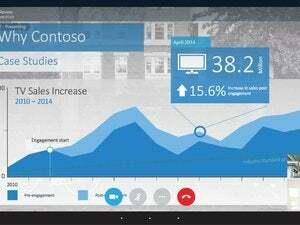 Microsoft views mobile apps as more appropriate for light editing, rather than document creation. What Microsoft settled on to divide mobile and desktop users was screen size: specifically 10.1 inches. Anything smaller than that and users can pretty much do anything they want with the appropriate iOS, Windows, or Android app, including creating, editing, or sharing documents. But if you’re using the Office apps on a device whose primary screen is larger than 10.1 inches, Microsoft won’t let you create a new document, just edit and view an Office document created elsewhere. That means that, if you define productivity as access to Microsoft’s excellent Office apps for iOS, the smaller iPad Pro is actually more productive than the larger version. If you’re worried that Microsoft may erase this distinction, you probably shouldn’t be. One of the foundations of Microsoft’s Continuum plan is to allow its Lumia phones to plug into a Display Dock and essentially run the free mobile Office apps on a desktop monitor. Close the licensing loophole, and one of Continuum’s advantages disappears. 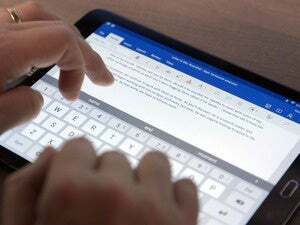 Why this matters: Windows users may have many reasons to believe that the iPad Pro pales in comparison to the Surface tablets, but Office compatibility isn’t one of them. It’s worth noting that even the smallest $499 Surface 3 clocks in a 10.7 inches on the diagonal, meaning that Microsoft charges every Surface user for an Office subscription if you want to create an Office document—$70 per year for an Office 365 Personal subscription. Provided you buy the smaller $599 iPad Pro, that savings will pay for itself in about 18 months. Thanks to analyst Wes Miller for pointing this out.